A popular route in downtown Fort Lauderdale that runs from Andrews Avenue in the Central Business District to A1A and Fort Lauderdale Beach. 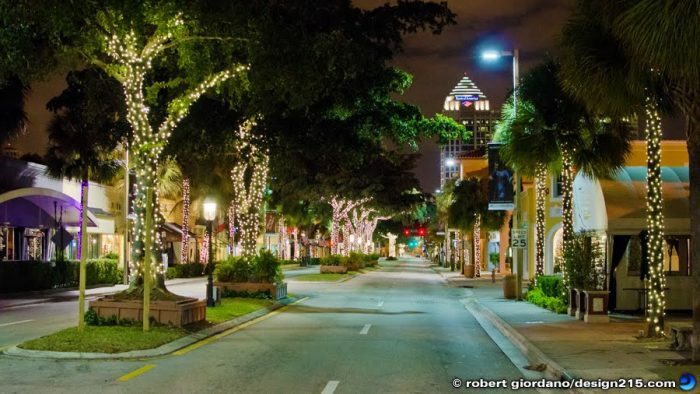 The boulevard is a popular attraction for locals and visitors, being ideally situated close to Fort Lauderdale beach, Fort Lauderdale-Hollywood International Airport and Port Everglades. This is also part of the route in the Michelob Ultra 13.1 Race! There is no dedicated path along the road, but there are wide sidewalks and the area is festive. Less crowded early, before stores/restaurants open. This 3 mile-one way route brings you down E Las Olas Blvd all the way to the oceanfront, where you’ll take a short jaunt down the A1A to Ft. Lauderdale Beach Park. There are picnic tables and restrooms available there to take a rest, or loop back to extend your distance. You can jump on this at any point. The western end is at the NSU Art Museum/Bubier Park, and the eastern end is at A1A. This can also be combined with the River Walk Path — 2 miles of trails in the arts district.